In the latest installation of Portsmouth’s restaurants – Poco’s Bow Street Cantina is featured. Poco’s is probably best known for its nachos and outdoor deck/watering hole with delicious margaritas and Smuttynose on draft – but they also have a beautiful interior. Every time I eat indoors, I’m drawn to this beautiful painting with its curvaceous shape – mirroring the street the restaurant is located on (Bow Street). Looking forward to many outdoor visits throughout the spring/summer as long as mother nature is willing to make it comfortable, but it’s good to know inside I’ll be greeted by some old school New England interior. The sunset on this particular evening was quite striking – as you’ve seen a few times this week. 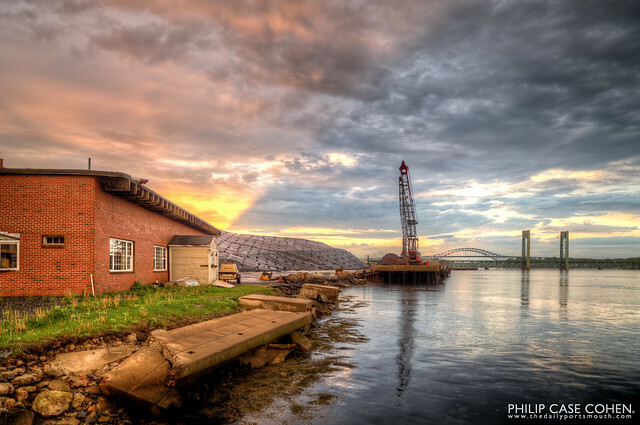 This shot features the incredible bright rays of light reaching over the horizon and the Granite State Minerals terminal to bring some rich color to the stormy day. 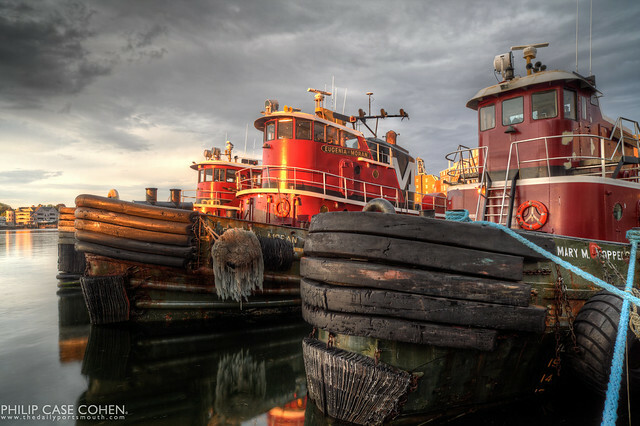 The cranes and the Middle Bridge make this industrial waterfront scene memorable – and help to give the shot a painterly feel with their reflections on the Piscataqua River. 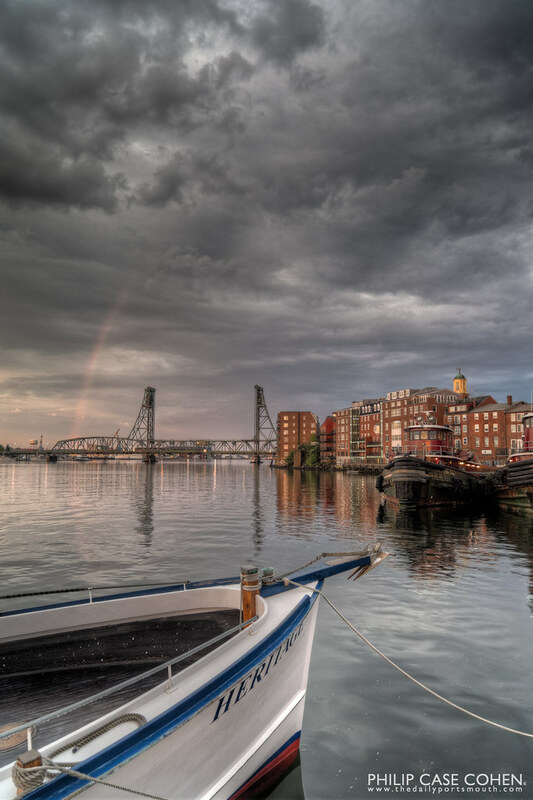 If you see this image – you’ll probably wonder whether the pot of gold is really located at the Portsmouth Naval Shipyard in Kittery. 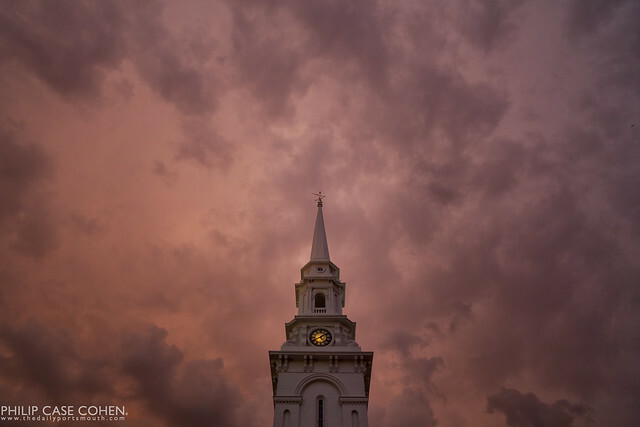 This night was simply incredible – the sky was ridiculously dynamic, changing from rain soaked and grey to sunny to ominous, and a rainbow even made an appearance in there at some point. It was awesome to watch unfold, and I was very thankful to be there with camera in hand. I just wish I’d brought my tripod along for the fun, but as I mentioned earlier in the week – you have to learn to make do with what you’ve got sometimes. Improvisation can make for some creative and fun shoots. 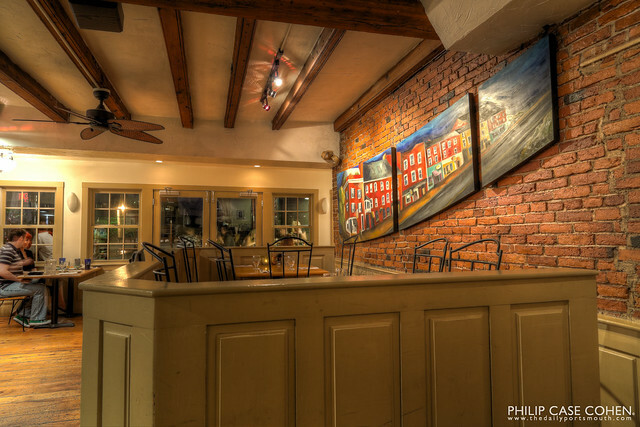 Each of Portsmouth’s restaurants has its own distinct character. 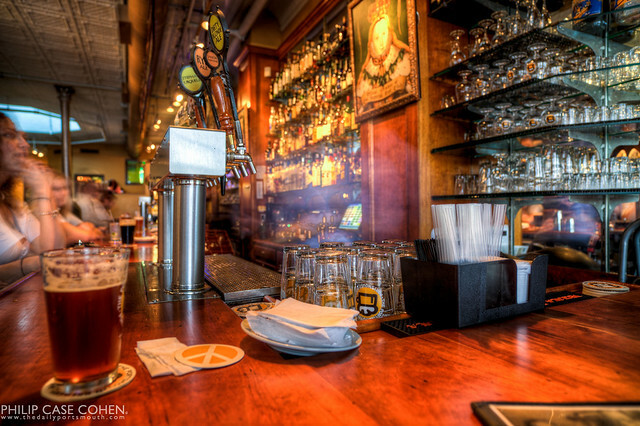 The Portsmouth Brewery is certainly no exception, and is one of the older dining establishments in town. This fixture of the seacoast brews its own beer on site and features Smuttynose beer as well (its sister brewery)..and has their own coasters. One of my favorite things to do is to improvise when I’m out shooting – so a natural fit would be to use a pint glass as a tripod when I don’t have the luxury of a tripod with me. Always makes for an interesting angle. A simple image from an afternoon that brought me some great memories – filled with rich salty air and playing basketball along the oceanfront. 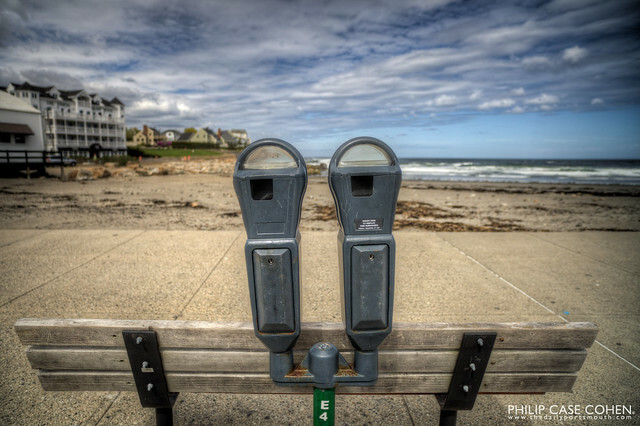 It’s rare that you can enjoy an empty parking lot at Short Sands beach in York, Maine (near Fun-O-Rama)…and now that I’m all grown up – I have a new appreciation for parking meters without anything to feed quarters into.